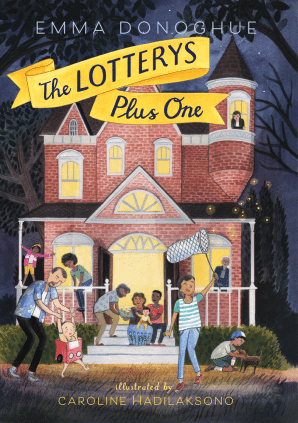 Entertainment Weekly has revealed the cover and a first chapter excerpt from Room author Emma Donoghue‘s first book for young people‚ The Lotterys Plus One‚ forthcoming from HarperCollins Canada and Scholastic U.S. in March. The middle-grade novel‚ about a young Toronto girl whose visiting bigot grandfather challenges her very large‚ unconventional family‚ features illustrations by New York–based illustrator Caroline Hadilaksono. Donoghue’s next adult book‚ The Wonder‚ will be published by HarperCollins Canada on Sept. 27.